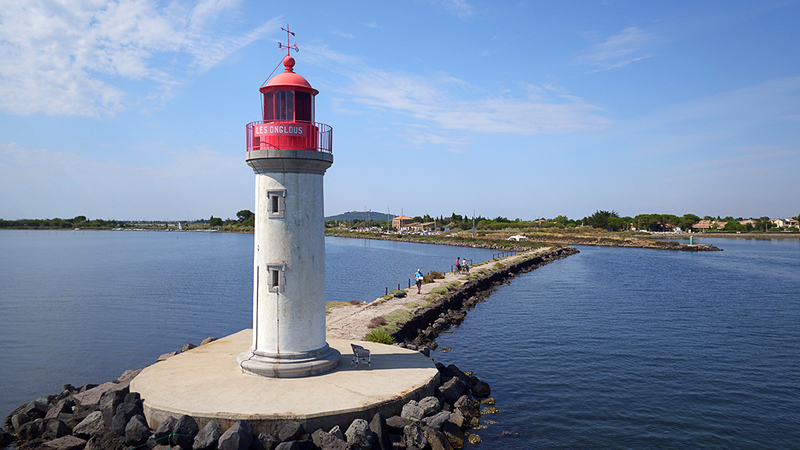 Le Phare des Onglous | The lighthouse is the terminating point of the Canal du Midi where the canal enters the Étang de Thau. « The red and white lighthouse is at the tip of a short jetty projecting into the Étang de Thau. 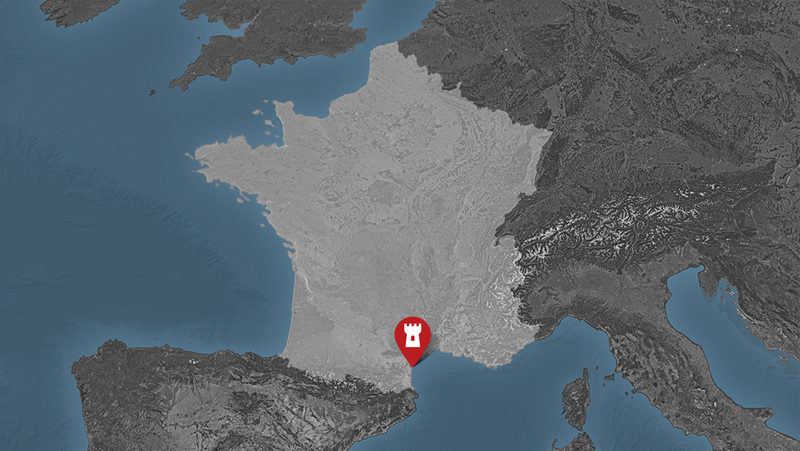 It is located on the east jetty at the canal entrance, about 1.5 km (0.93 mi) south of Marseillan in the Hérault department.